A tic-tac-toe board is certainly no work of art and probably won’t be on display in the Louvre anytime soon—perhaps in the modern art wing. Yet now, a team at Caltech just used a DNA origami technique to create microscopic tic-tac-toe tiles that can be designed to self-assemble into larger, dynamic nanostructures. This feat tops their achievement from about a year ago where the team used the same method to make the world’s smallest version of the iconic Mona Lisa. While their initial accomplishment was impressive, the technique had a limitation similar to that of Leonardo da Vinci’s oil paints: Once the image was created, it could not easily be changed. That swapping mechanism combines two previously developed DNA nanotechnologies. It uses the building blocks from one and the general concept from the other: self-assembling tiles, which were used to create the tiny Mona Lisa, and strand displacement, which has been used by Dr. Qian’s team to build DNA robots. Both technologies make use of DNA’s ability to be programmed through the arrangement of its molecules. Each strand of DNA consists of a backbone and four types of molecules known as bases. 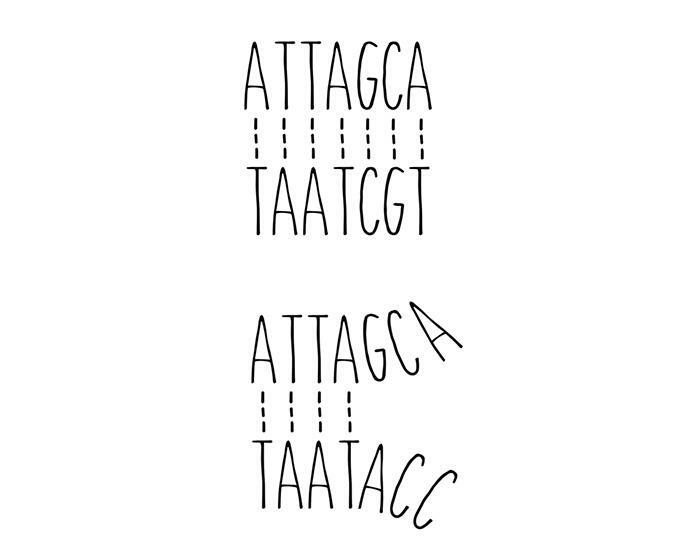 These bases—adenine, cytosine, guanine, and thymine (A, C, G, and T)—can be arranged in any order, with the order representing information that can be used by cells, or in this case by engineered nanomachines. The second property of DNA that makes it useful for building nanostructures is that DNA bases have a natural tendency to pair up with their counterparts. Ergo, any sequence of bases will want to pair up with a complementary sequence. For example, ATTAGCA will want to pair up with TAATCGT. The self-assembling tiles portion of the tic-tac-toe board are essentially all square in shape and are designed to behave like the pieces of a jigsaw puzzle. Each tile has its own place in the assembled picture, and it only fits in that spot. In creating their new technology, Dr, Qian’s team imbued self-assembling tiles with displacement abilities. The result is tiles that can find their designated spot in a structure and then kick out the tile that already occupies that position. To get the tic-tac-toe game started, Dr. Qian’s team mixed up a solution of blank board tiles in a test tube. Once the board assembled itself, the players took turns adding either X tiles or O tiles to the solution. Because of the programmable nature of the DNA they are made from, the tiles were designed to slide into specific spots on the board, replacing the blank tiles that had been there. An X tile could be designed to only slide into the lower left-hand corner of the board, for example. Players could put an X or an O in any blank spot they wanted by using tiles designed to go where they wanted. After six days of riveting gameplay, player X emerged victorious. 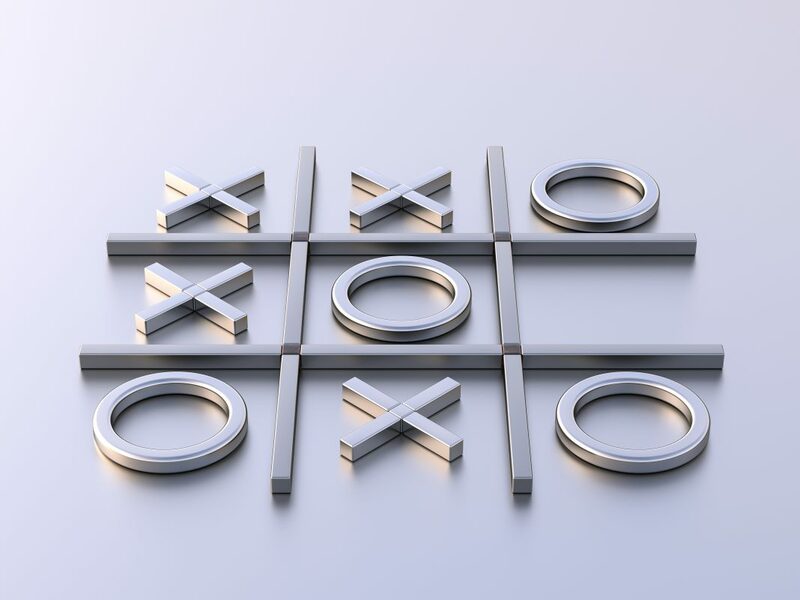 Obviously, this holiday season, no parents will be rushing out to buy their children a tic-tac-toe game that takes almost a week to play, but tic-tac-toe is not really the point, the authors noted. The goal is to use the technology to develop nanomachines that can be modified or repaired after they have already been built.